This article combines three of our favorite vegan-related things: cookbook queen Isa Chandra Moskowitz, phenomenal vegan cuisine, and writer/thinker extraordinaire Piper Hoffman. 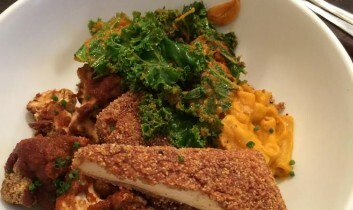 Today, Piper gives us a review of Isa’s newly opened vegan restaurant, Modern Love. 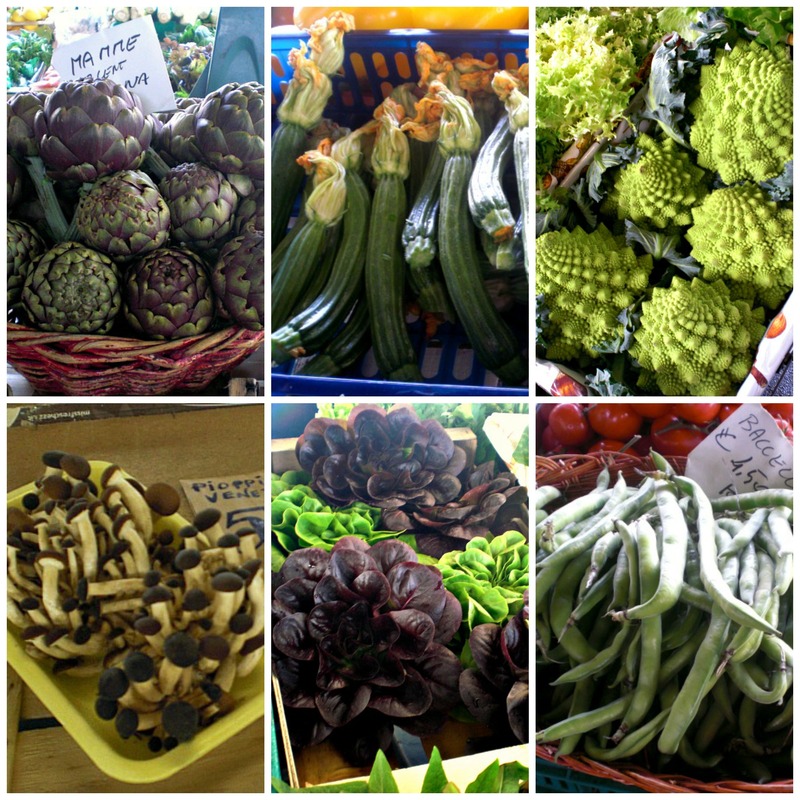 Don’t miss Piper’s mouthwatering photos at the bottom of the article! 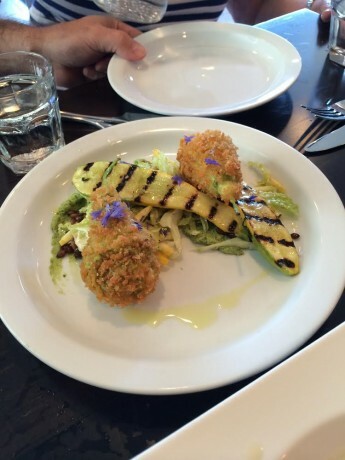 Stuffed Zucchini Blossoms: panko-fried blossoms stuffed with edamame puree, zucchini slaw, grilled summer squashes. These were a big hit at our table. The breading is crispy, the stuffing is a little sour, and the combination is earthy and delicious. 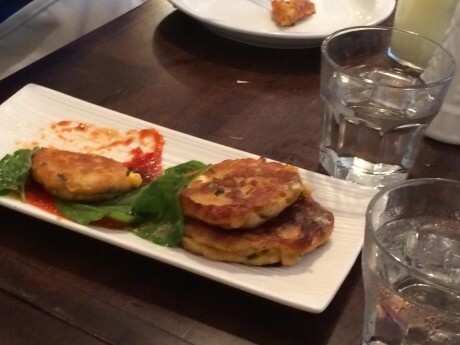 Jalapeno Corn Fritters: tomato-basil jam, arugula, pea tendrils. These were sweet with a spicy finish – too spicy for some. Quinoa Caesar: romaine, arugula, tempeh croutons, smoked eggplant bacon, toasted pine nuts, tahini-caper dressing, avocado. 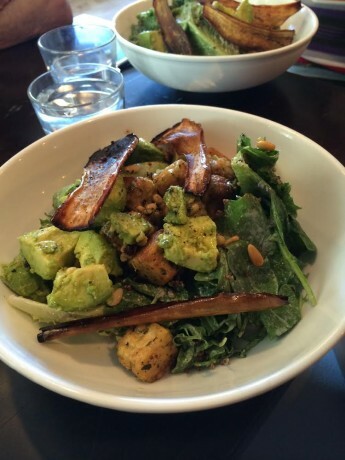 A generous helping of avocado and yummy tempeh croutons were the highlights here. 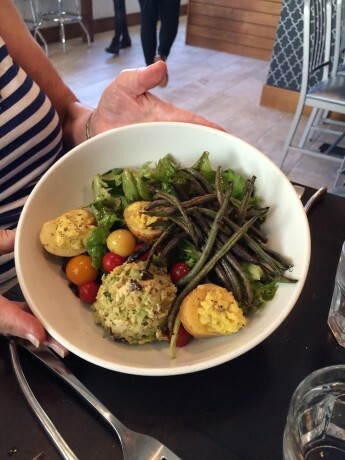 Modern Nicoise: chickpea salad, devilled potatoes, grilled green beans, heirloom tomatoes, olives, greens, balsamic vinaigrette. It was proclaimed “very, very good”; the tomatoes were “the sweetest ever” and the salad was filling, but beware: our taster couldn’t eat the green beans because they were too spicy. 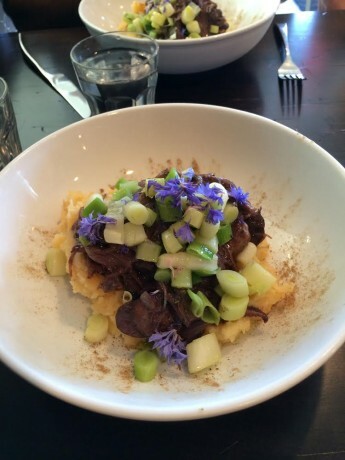 Seitan Marsala: root veg mash, wild mushrooms, braised leek, fresh herbs, microgreens. The winning entrée. The seitan was tender, the sauce hearty. Some of us had it both nights. 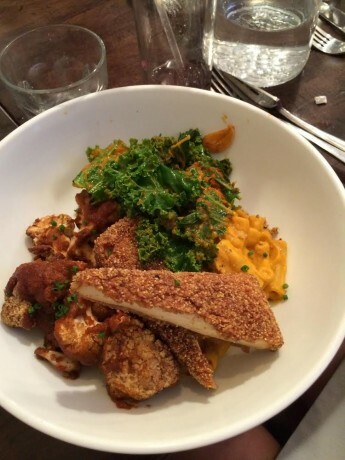 Mac & Shews: creamy cashew cheese, pecan-crusted tofu, BBQ cauliflower, braised kale, spiced pecans. 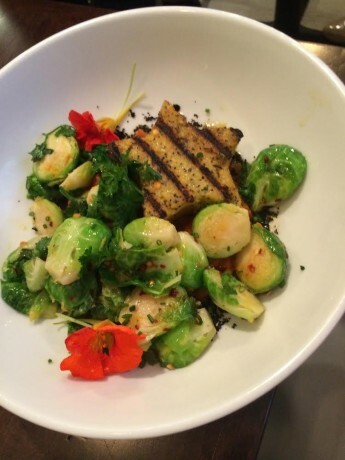 The pecan-crusted tofu stole the show, but the whole combo was good. Chilled Corn Chowder: Creamy and tasty, with a spicy bite at the end. The chowder was served with a sprinkling of pretty edible flowers on top. Peach Pie and Apple Berry Pie were both good. They came with Moskowitz’s handmade cashew vanilla ice cream. 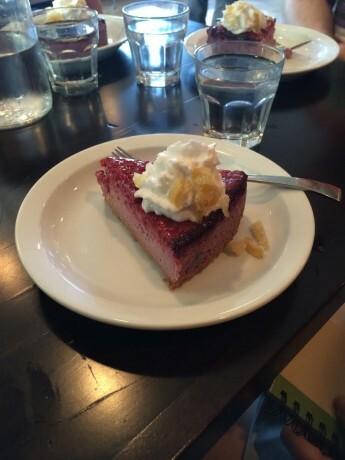 Raspberry Cheesecake: A couple people ordered this the first night. Every single one of us ordered it the second. Moskowitz says most of her guests aren’t vegan. She is spreading the good word, one helping of non-dairy cheesecake at a time. Contact Information: ModernLoveOmaha.com. 1319 South 50th St., Omaha NE. (402) 614-6481.